WASHINGTON COUNTY —With spring in full swing in the wake of a mild winter, rescue numbers have risen throughout Washington County and in Zion National Park. For Washington County Sheriff’s Search and Rescue, the number of rescues called in during the first quarter of 2018 have been consistent, with year end totals typically exceeding the 100 mark, the program’s liaison, Sgt. Darrell Cashin said Thursday. Two recent rescues illustrate the importance of communication and the need to prepare before heading out to enjoy the many natural wonders Southern Utah has to offer. The first occurred at Snow Canyon State Park Tuesday involving a hiker who became stranded on a ledge where he was unable to hike up from the ledge to the cliff’s edge, with no visible route to hike down to safety, either, Washington County Emergency Operations Manager Jason Whipple said. Search and rescue teams were called in after the hiker called 911 to report he was stranded, and once a GPS location was obtained, the search team and high-angle team made their way to where the man was stranded. The hiker was located on the ledge and was well-hydrated, Whipple said, but he had gone without food for some time before he was pulled from the ledge and helped to a safe location by the rescue team. Later that same day, the teams were dispatched to the Warner Valley area after a woman called 911 reporting that she was unable to locate her husband after the couple became separated hours before. They were looking for one of their bulls that had wandered off, and her husband continued the search while she waited. But after some time she was unable to call or locate him. Rescue teams were deployed, and once they arrived in the area, the teams split up, enabling rescuers to cover more ground. “We had one team search the area near where the man was last seen,” Whipple said, “while another searched a different area, which is where they finally found him. The man was located several miles from where he became separated from his wife. Both rescues ended well for all involved, but that isn’t always the case, Whipple said. Officials at Zion National Park said they are seeing a similar trend, as the number of rescues in recent years has continued to climb, along with the number of visitors to the park, Zion National Park spokesman John Marciano said in a statement released last week. Marciano commented on a search conducted March 17 which serves as a good example of a “preventable incident,” he said, and how being prepared can literally mean the difference between life and death. The Zion search and rescue team, along with partners from the Rockville-Springdale Fire District, were called out the night of March 17 for what became a lifesaving event. 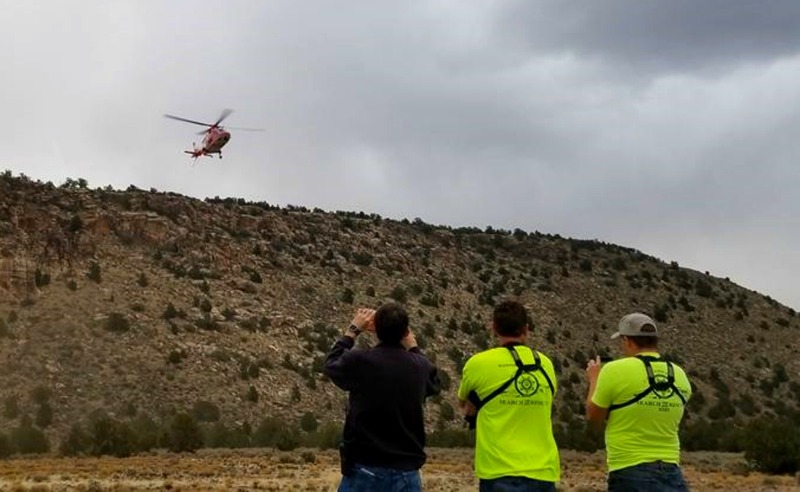 A team of 15 rescuers and EMS personnel responded to calls for help coming from the Pine Creek slot canyon, where eight hikers who were wet, borderline hypothermic and too tired to continue began yelling for help. 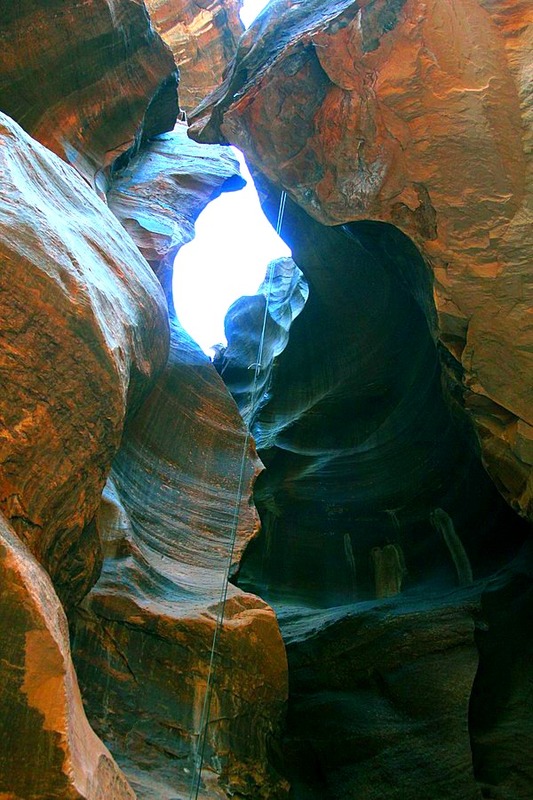 After making it through approximately half of the technical slot canyon, six of the group became stranded while two of the members were able to hike out and go for help. 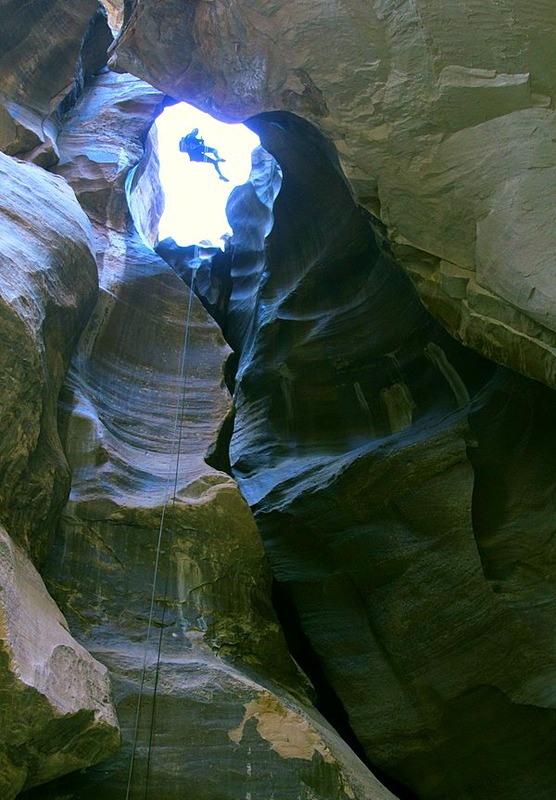 Rescuers realized after reaching the group that they were “poorly equipped for canyoneering at this time of year,” Marciano said, and had inadequate footwear, gloves and clothing, including thin “farmer John” wet suits used to traverse the ice-cold pools of water in the slot instead of insulated dry suits capable of protecting them from the cold. To complicate matters, Marciano said, a heavy snow storm rolled into the area, bringing with it sub-freezing temperatures that caused a flash flood, which added to the risk of hypothermia. Working through the night under arduous conditions, each stranded hiker was pulled from the slot canyon by rescue teams using ropes and pulleys. Zion Chief Park Ranger Daniel Fagergren added that the risk of an individual experiencing hypothermia is not confined to the winter months or during particularly cold weather, as trapped water in the slot canyons in the park “may never see the light of day” and can remain frigid, adding to the danger. In 2015 Zion search and rescue teams were called on 103 rescues, Fagergren said, with a slight increase in 2016 to 105. 2017 was a record-breaking year with 114 rescue operations completed. It’s important for visitors to check reliable sources of information prior to embarking on their trip, Marciano said, starting at the Zion National Park website’s plan your visit link, where a wealth of tips and information can be found regarding proper equipment, clothing and items needed for whatever activities are planned. “Plan ahead, know your route planning ahead, wear appropriate clothing and shoes, bring plenty of water and recognize that immediate help is not available at most park locations,” Fagergren said. The rise in rescues will slow way down when you start making these people pay for their rescue….just bill them after you get their ID’s ….problem solved….next issue?